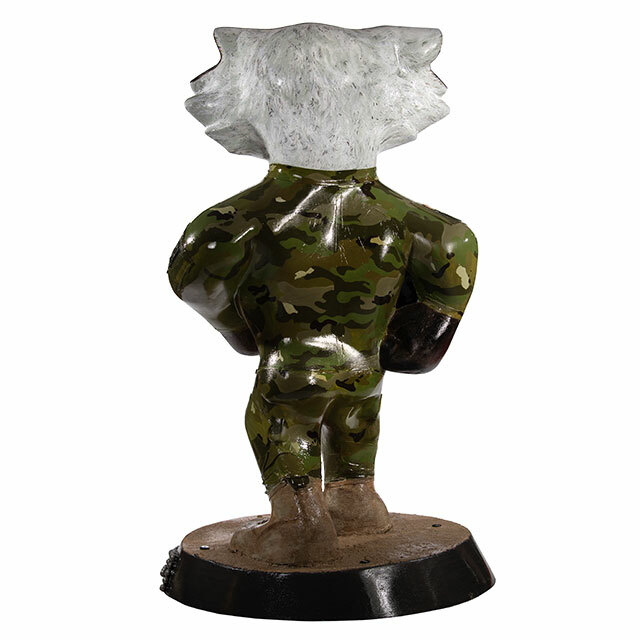 This statue honors all the brave members of our armed forces. The artist used her friend Brian's 32nd Infantry arm insignia on Bucky. Brian is a Sergeant Major with the Wisconsin National Guard and the patch is from his service with the 32nd. The artist was also able to use her patch from the 101st Airborne Division. I love the way art can connect communities to engage in conversations. My art is the one constant in my life and the thing I am most confident about. I love the way the art process challenges me both mentally and physically. 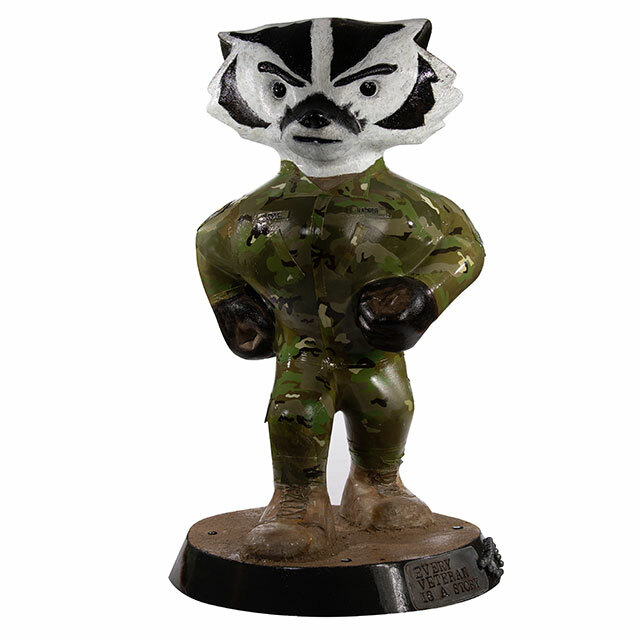 My work at the Wisconsin Veterans Museum allows me to think artistically about the veteran experience. As a veteran and an artist, I am inspired by the many stories that encompass the veteran experience. 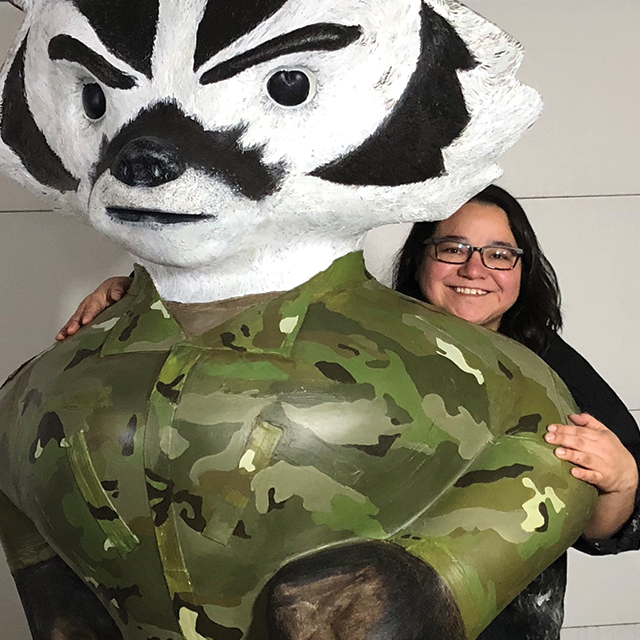 Bucky has a way of representing the Wisconsin community and my design is hoping to represent the veteran community in Wisconsin.